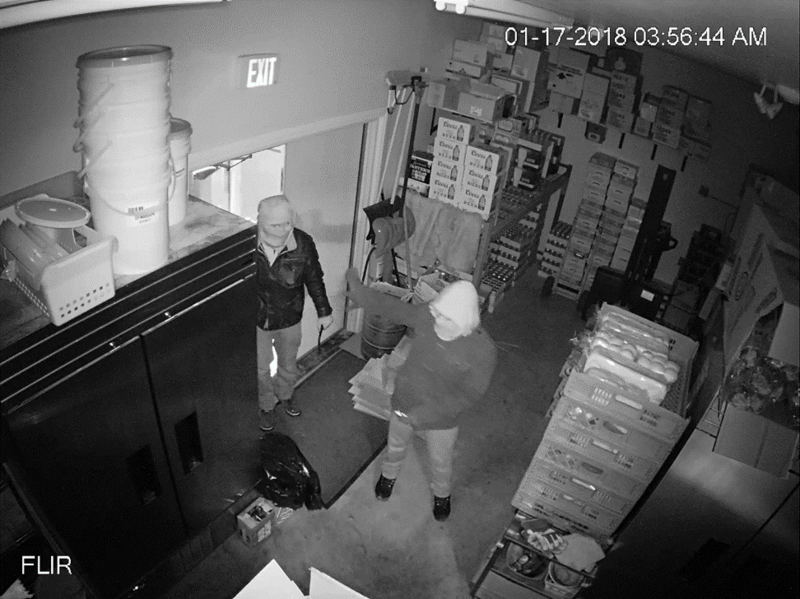 On the morning of Wednesday January 17th, Manitou RCMP were advised of several break and enters that had occurred in Pilot Mound, MB. As per video surveillance, two subjects were observed breaking and entering into Call-Inn’s Hotel after hours. The subjects removed a safe, obtaining cash and an unknown quantity of liquor. As per video surveillance, subjects pulled up to the hotel in a white newer model GMC Sierra, single cab. The truck had two toolboxes in its bed, one at the front covering the width of the vehicle and another extending from the front to the back of the truck bed. Two orange ladders were fastened to a rack extending over the truck bed. Anyone with information about this incident is asked to call the Manitou RCMP Detachment at (204) 242-2017 or submit a tip.